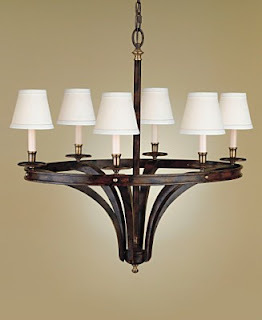 Frugal with a Flourish: Unbelievable lighting deals at Macy's! Every once in awhile I just come home and goof off online to see if there are any good deals out there … and there are and I found them! 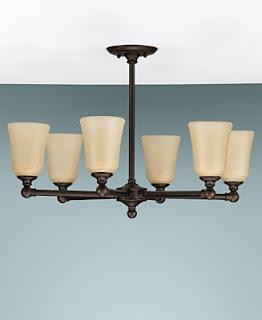 Is this Huguenot Lake 4-Light Chandelier not adorable? I would love to see this in a bathroom since the bottom looking up would almost look like those old timey faucet knobs. (Or am I the only one that sees that?) It is only $49.97! 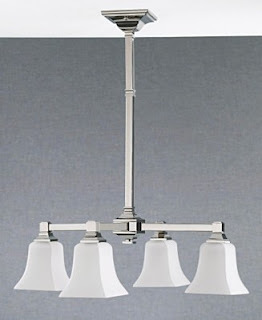 This Murray Feiss 4-Light Chandi is only $62.97. I cannot make these prices up! These are ridiculous. 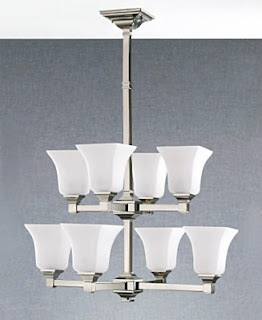 Or perhaps you would like it as a Two-Tier 8-light Chandelier for only $139.97. 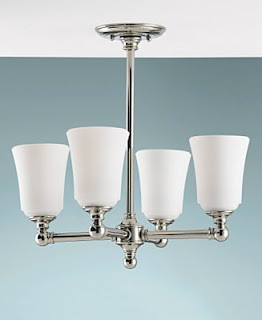 This Gatsby Chandelier one is only $86.97. It says it was originally $699. I don’t know if that is true but I really want it! Oh and I love this Huguenot Lake 6 Light beauty! It is $89.97 and I think would be really good if you have low ceilings. It doesn’t say if it is extendable. Again, I am seeing this in a great big master bathroom. 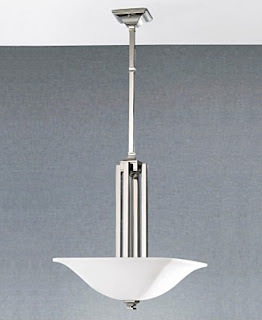 Or this Art Deco-ish Modern Chandelier! I love it over a breakfast nook or in an entryway! It is only $84.97. Go check them out and tell your friends! Tweet it, facebook it, call your mom! These are prices that need to be taken advantage of ASAP! Which one would you get and where would you put it? Or did you buy one? Inquiring minds want to know! Linking this up with the Penny Pinching Party @ Thrifty Home! Great finds! I love the dramatic impact that changing a light fixture has on a room.